Digital 1 Audio, Inc (http://www.pcdj.com), creators of popular DJ and karaoke software products for professional DJs and hobbyists, released DEX 3 LE – a limited and free version of their DEX 3 flagship DJ and video mixing software. "Now everyone can be a DJ with DEX 3 LE" says PCDJ General Manager Ryan Sherr. The PCDJ software product previously called RED Mobile 3 is now DEX 3 RE (Red Edition), keeping continuity amongst the brand’s software lineup. DEX 3 RE and DEX 3 have also been upgraded to 3.6, a no cost update for existing DJs that own previous iterations. The new, revised PCDJ lineup consist of DEX 3 LE (Limited Free Edition), DEX 3 RE (Red Edition for mixing music) and DEX 3 (flagship software for mixing audio, video and karaoke). All three tiers have been upgraded to 3.6, introducing a few new features and many under-the-hood performance improvements and upgrades. One notable item is the inclusion of the latest Pulselocker SDK, which improves searching Pulselocker massive catalog of 44 million songs from the browser. Ability to link video files automatically to audio tracks (from a user-selectable videos folder, random video selection is available too) - Note: DEX 3 (full version) only. Ability to load video files without an audio stream/track - Note: DEX 3 (full version) only. Fixed link video files to audio for Pulselocker tracks - Note: DEX 3 (full version) only. Fixed loading of MP4 files that are actually audio-only (some MP4s with album artwork were loaded by mistake as video tracks) - Note: DEX 3 (full version) only. Video tab/panel added to the settings. - Note: DEX 3 (full version) only. DEX 3.6’s manufacturer’s suggested retail price is $179. DEX 3 RE (Red Edition) suggested retail price is $109. 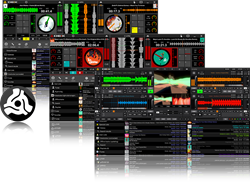 DEX 3 LE (limited Edition) is no cost DJ software. Pulselocker is also a no cost trial for 14 days. Two tier options are: $19.99 (Streaming and unlimited offline tracks) and $9.99 (Streaming only). Visit http://www.pcdj.com to download DEX 3 LE. Since 1999, Digital 1 Audio/PCDJ has been recognized as a leading developer and manufacturer of DJ and Karaoke live performance software. More than 80,000 professional DJs around the world now spin with their computer using one of company's entertainment products.